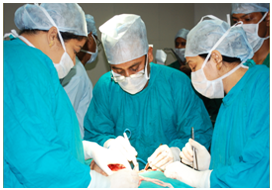 Hemalata Hospitals & Research Centre is equipped with three advanced operation theatres and handles all the high end and sophisticated onco-surgical procedures. The OTs are fitted with HEPA filtration devices and laminar flow equipment to keep each OT fully dust free and sterile and keep infections away from our patients. 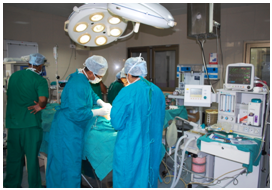 The Anaesthesia work place are fitted with latest Ohmeda work stations with ventilators. OTs are Equiped with high end latest fully automated OT tables , Phillips lighting system, valley Lab electro coagulation system , harmonic scalpel and Enseal vessel sealing system.